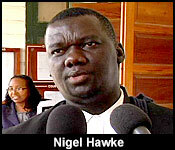 The Caribbean Court of Justice has ruled that Jamaican national Maurice Tomlinson can proceed to challenge the immigrations laws of Belize. 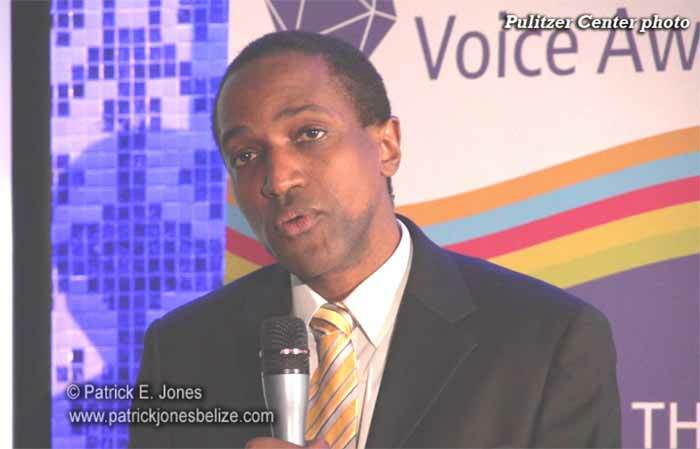 Tomlinson went to the Trinidad and Tobago-based CCJ contending that the immigration laws of Belize and of Trinidad and Tobago discriminate his freedom of movement as a CARICOM national under the Treaty of Chaguaramas because he is a gay man. Section 5 of the Immigration Act lists homosexuals or persons living on or receiving proceeds of homosexual behaviour as persons who can be denied entry to Belize. 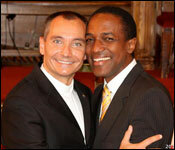 The Caribbean Court of Justice has ruled that it will hear a case brought by Jamaican Gay Rights Activist Maurice Tomlinson which has implications for the entire Caribbean. He will be allowed to challenge the Immigration Laws of Belize and Trinidad and Tobago on the grounds that it violates the rights of LGBT persons living in the Caribbean to move freely throughout CARICOM. His application for special leave to bring his case was heard in November of last year. He needed special permission to be heard as an individual because his home nation, Jamaica, refused to bring the claim on his behalf. They did so on the grounds that he has travelled to both Belize and Trinidad and Tobago without any problems before, so his right to free movement has not been blocked before. "We were already at the leave stage when the court fundamentally rule this morning that leave is granted. This is just the first stage. We are objected to leave. So special leave has been granted, so now we moved to the substantive issue that will have to be argued. They've been given 7 days to file their originating application." "Now sir the president did mention that just the mere existence of these statutes in the law is punitive. What's your reaction to that?" "At this stage that is mentioned in the context of an application for special leave and all he had establish was an arguable case. At this point the court agreed that there is an arguable case and so we move to the next stage and that is where we are." "So now what must the government do in terms of defending the substantive claim?" "We now wait for them to file their originating application and then we take it from there in terms of arguments and so forth. We will have full and extensive arguments now that leave has been granted." Tomlinson's attorney, Anthony Gifford, has 7 days to file his claim, and then the CCJ will schedule a full hearing on the matter, where Tomlinson will be allowed to challenge the Immigration laws from both countries. 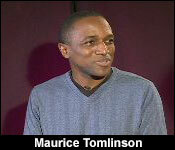 Last week we told you about Maurice Tomlinson, the gay Jamaican man who's gone to the Caribbean Court of Justice to challenge Belize's Immigration law. That law says prostitutes and homosexuals are barred from entering Belize. Tomlinson says that discriminates against him as a CARICOM national and deprives him freedom to travel throughout the region as a CARICOM national. 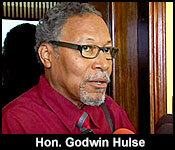 Today Immigration Minister Godwin Hulse said that while the law may be on the books, it's not in practice:. "The law is a 1963 law, let's face it. In the heady days of puritanism and all the rest. You know there is this gender policy and one has to be careful what one says. I am never careful with what I say. For me the position is very simple; nobody at immigration is going to ask anybody to declare their sexual orientation and that's not a question coming into the country. So, how on earth are you going to know who is who and who is what to refuse or otherwise allow them entry? There striking it out makes no difference to the law at all." True to his word, Tomlinson has traveled freely to Belize before.